Cycling is a process of initiating the nitrogen cycle in your aquaponics system. In this you establish the beneficial nitrifying bacteria in your system. 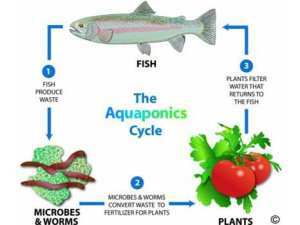 It is an ongoing process in which the bacteria converts ammonia and nitrate into nutrients that plants consume. Filtered water flows back to the fish and so on in continues cycle.